made into a personal “styling” statement, making it look unlike that delivered from the factory. 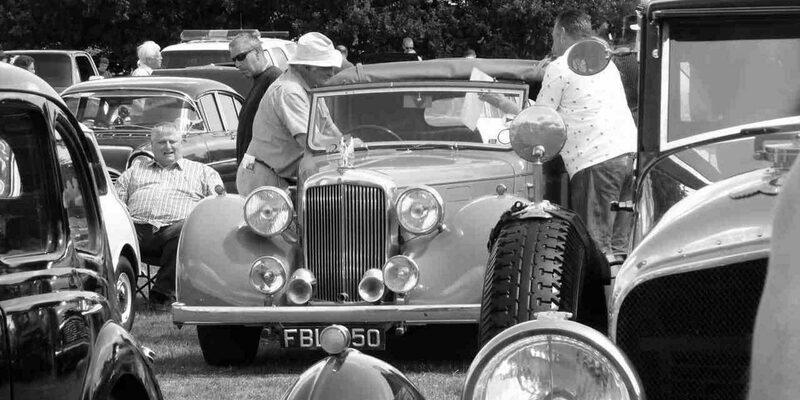 There will be TROPHIES AND PRIZES FOR ALL CATEGORIES OF VEHICLES ON DISPLAY, as well as arena events, country crafts stalls, auto- jumble, boot fair stalls, food outlets and side show attractions. There will again be the raffle for the “Barrow-of-Booze” The auto-jumble and the car club exhibits will again be in a dedicated paddock to provide more space. I do hope that again you will be able to join us with your vehicles, exhibits and/or stalls.. Please let your like-minded friends know about the rally date and the extended cut off for entries, in case we have been unable to contact them. Please note that for this year and possibly beyond, we will be sending out your coloured entry cards, with class and number, by return in your pre-paid envelope. This will confirm receipt of your entry form and registration fee. Your programme will be given to you on the day when your entry card is shown upon arrival. Appledore Recreation Ground Management Committee, (a non-profit making charity), is again staging the event. We request a registration fee to support the Rally as costs continue to spiral and the charge is £8 per vehicle entrant, with a donation for motorcycles, if sent with your application form and received by 1St June. (Your green card entrant numbers must be displayed to allow one car, two occupants, a plaque as well as inclusion in the programme). Cheques made payable to the above Committee. For those who have returned their forms, but not pre-booked by the 1st June, their entry will not be shown in the programme. For those who have registered and omitted to enclose their entry fee of £8 per entrant or would like to just join us on the day, a fee of £10 per entrant will be requested upon arrival. (Red card entrant numbers must be displayed). A Green Card Entry number will be issued. (Failure to send £8 will mean an £10 fee on the day). It would be appreciated if all entrants could be at the ground by 10.30 a.m.